With the data explosion over the past few years, several new technologies have been spawning, and AI and Big Data analytics are on the top. Cloud-based enterprise level tools in tandem with Big Data analytics results in a more explorative and a better understanding of big data. These advanced technologies have been transforming the way businesses work. Many organisations are already making huge investments in data analytics. They ensure that their employees enrol in an artificial intelligence course so they can train machines to deal with the large volumes of data that comes their way. IBM has recently launched the supercomputer Watson that can process 67 million pages per second and deliver actionable insights. Supercomputers such as this one can help understand the data overflow from millions of interconnected devices that form part of IoT. Businesses make use of AI all the time. They do so because they want to set up a dialogue between humans and AI. Supercomputers like Watson analyse the bulk of data and gives real-time respond verbally to solve your business problems. AI is a new technology that has fascinated leading industry experts with its wide scope. The industrial internet of things (IoT) combined with sophisticated neural networks can identify inconsistencies in business patterns and alert users in real time. Explorative data analytics tools and AI has become centralised for end users, and enterprises since their access to data have grown. Furthermore, businesses can discover the right business patterns with the help of AI and analytics tools that lead to understanding prominent business trends along with weak points in business strategies. Evaluating and using data as analytics help organisations minimise risks and accelerate the time taken in decision-making processes. In doing so, companies can capitalise on short-lived opportunities and boost profit margins. AI in association with CRM systems automate its various functions like data recording and analyses, contact management, and lead ranking. Organisations can know a customer’s lifetime value with the help of AI’s buyer persona modelling. Managing multiple inputs: Machines can efficiently control and manage different factors at the same point during complex decision making and can mine and process large amounts of data in minutes while providing valuable business-based insights. No decision fatigue: According to multiple psychology studies, humans are compelled to make short-time decisions that often deteriorates in quality with the passage of time. This is why supermarkets have snacks and toys at cash registers. After exhausted from shopping decisions, shoppers tend to get lured by a sugar rush at the cash counters. But algorithms do not have such limitations and can help executives make better decisions. Organizations use AI systems to drive a deeper connection with their customers. By doing so, they can track customer behavior patterns that can be used for micro-targeting and lifecycle analysis. For example, the use of an AI system helped a drugstore realize that most people who bought beer also bought diapers simultaneously. This is an example of unique insights that generate an immediate impact on decision making. Marketing decisions often involve complexities that make accurate predictions difficult. These complexities include a deep understanding of customers’ needs and how to align products according to their requirements. AI modeling and simulation methods integrate valuable insights into your buyer personas. Organizations implement these techniques into decision making that helps to predict consumer behavior and improve their brand loyalty. Your artificial intelligence system can support real-time decisions through a decision support system that further helps in data mining, forecasting, and better analysis of growing trends. The integration of AI into CRM systems allows enterprises to automate various functions, such as data recording and analysis, content management, and lead ranking. You can even predict a customer’s lifetime value through AI’s buyer persona modeling. These features especially help sales and marketing teams work efficiently. Bottom Line: AI is responsible for the development of new ideas like interactive and real-time dashboards. When predictive analytics tools (data mining extensions) integrates into AI, organizations can locate better business opportunities, and they can understand their partners, stakeholders, customers, and everyone associated with their business. 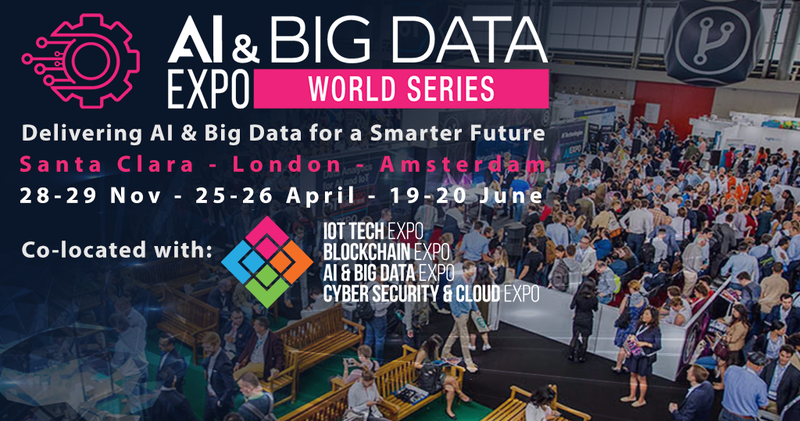 Find out more about how leading brands and enterprises are using artificial intelligence technologies to improve overall business strategy and customer retention & experience at the AI Expo Global in London (18-19th April) and at the AI Expo Europe in Amsterdam (27-28th June).